Heavy police activity, including several officers with guns and rifles drawn, closed streets in San Francisco on Thursday evening, according to witnesses near the scene. 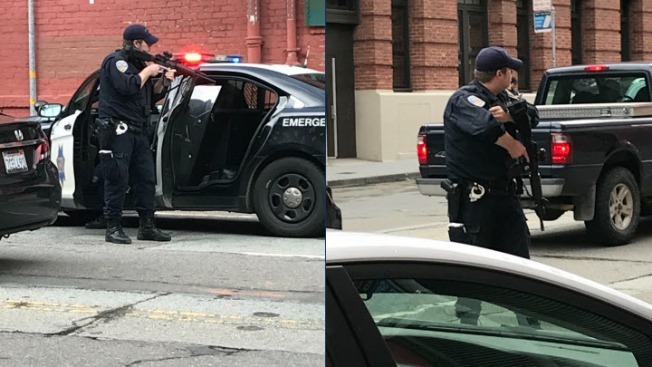 One witness reported on Twitter seeing about 20 officers with rifles outside his office in the area of Second and Brannan streets. He said they were converging on a nearby self-storage facility. The witness also said the street was shut down. ATTN: Report of #SFPD activity on 2nd btwn Brannan and Townsend, the 10 may see delays and reroutes.